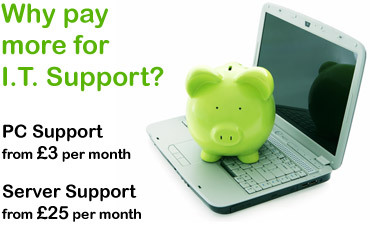 Reduce the cost of your IT support without compromising on quality of service. The efficient, smooth running of your IT infrastructure is key to achieving sustained success for your organisation. Any network downtime that is experienced can be extremely costly, both in regards to lost business and wasted man hours. Our IT support solutions provide organisations with access to fully qualified, experienced IT support engineers who are able to respond quickly and efficiently to resolve any IT issues that arise.